This easy to grow annual wildflower is native to western North America, but is easily adapted throughout most regions of the United States. 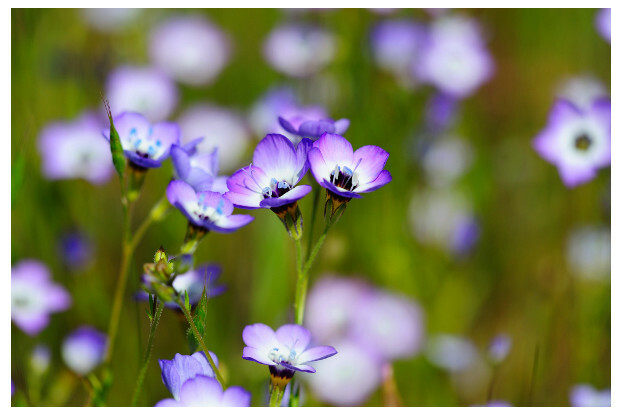 Bird’s Eye Gilia can grow up to three feet tall and is known to be a prolific bloomer. It produces an array of lavender and white flowers with golden centers. It prefers full sun, but can tolerate partial shade and does best in dry, well-drained soils. From spring until the first frost, this wildflower puts on a show, making it a great addition to wildflower mixes.